Further to our two previous posts on the SS’15 denim (part 1 and part 2) trends from the Denim by PV , this is the third and the last one. 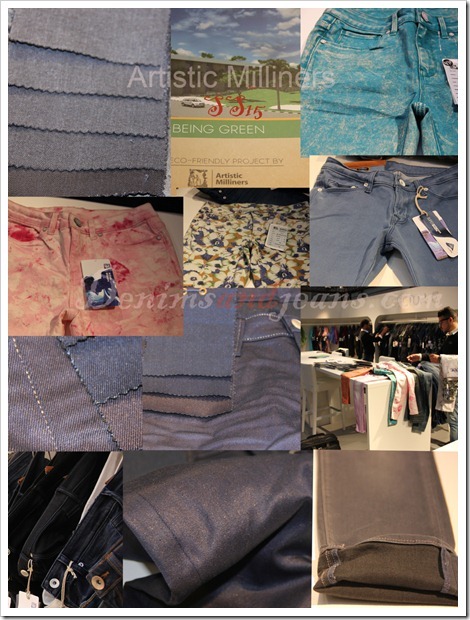 As mentioned before, the interest in denim looked much higher at the show and also the visitations to the show were much higher than in May . We all look forward to its first edition at Barcelona next year. 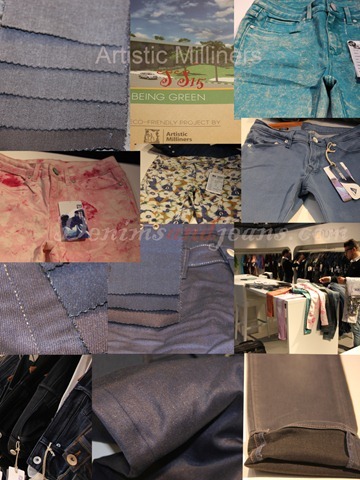 Besides, they also introduced fiber dyeing , Coolmax, transparent coatings, glitters etc. 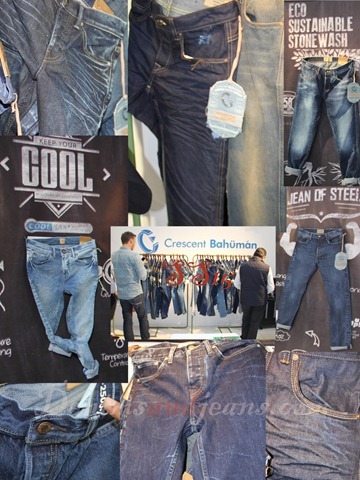 Crescent came up with the waterless washing of denim garments through usage of chemicals which , according to Idrish Munshi , enables them to completely avoid the usage of stone and use only 1 litre of water per garmen to achieve the stone wash effect. 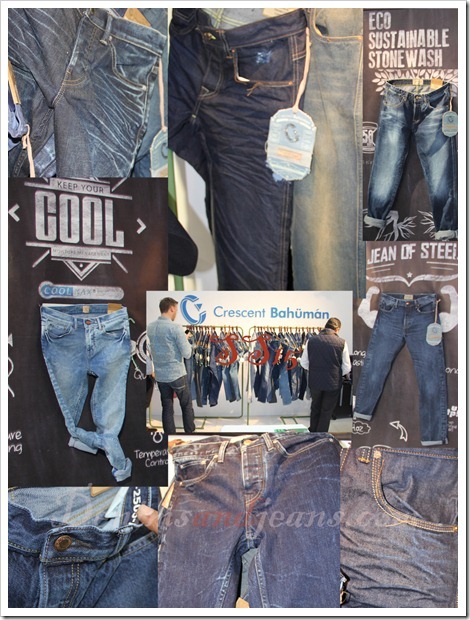 They also came up with the ‘Jeans of Steel’ – made up of super strong dyneema fibers . 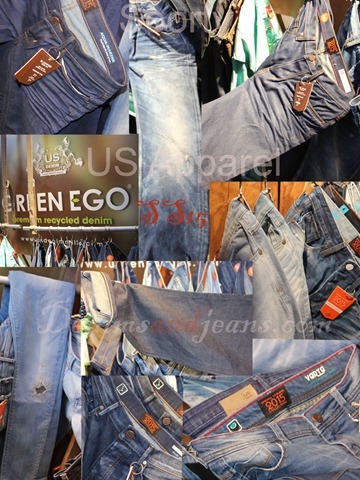 The jeans, first created by a denim mill as per Crescent , are over 25% more stronger than the regular 100% cotton denim and much more suitable for motorcycle wear and other outer wear applications. They also presented their performance range including Coolmax fabrics (for moisture management) , thermo cool , anti microbial , low friction fabrics etc. 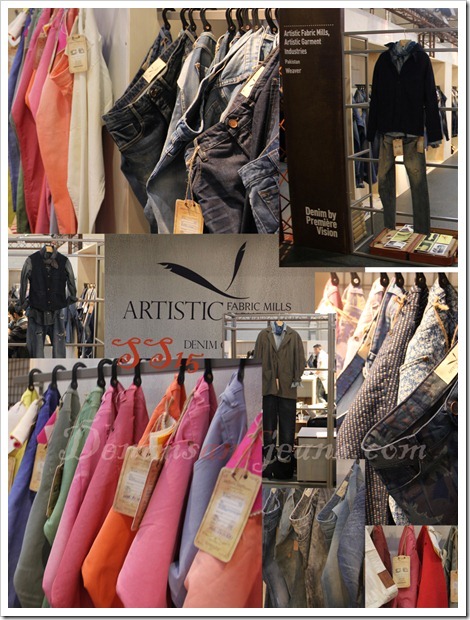 Artistic Milliners is also coming up with their Leeds certified factory at Pakistan shortly. 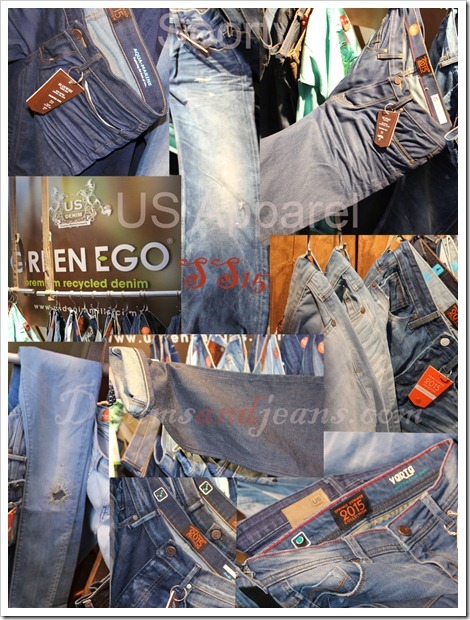 US apparel focused on some key concepts . Pure Indigo light or dark for a summer with contrast. Green cast for fashion and vintage… Grey to recall the great time of rock,&roll. 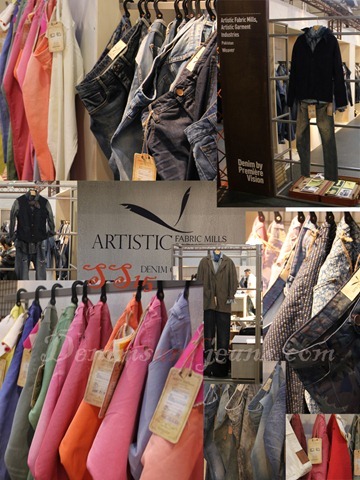 Alternative fibers like modal, tencel, viscose, natural fibers for soft hand feel. Hemp and recycled yarn for sustainability. Print fashion image by laser and washed by ozone for water less. A trip through the memory starting from 80’s when the Indigo was more red up to the stage of Summer 15 . Eco and green still on front line for a lifestyle contemporary and live.